To register please go to www.schoolinterviews.com.au and follow these simple instructions. 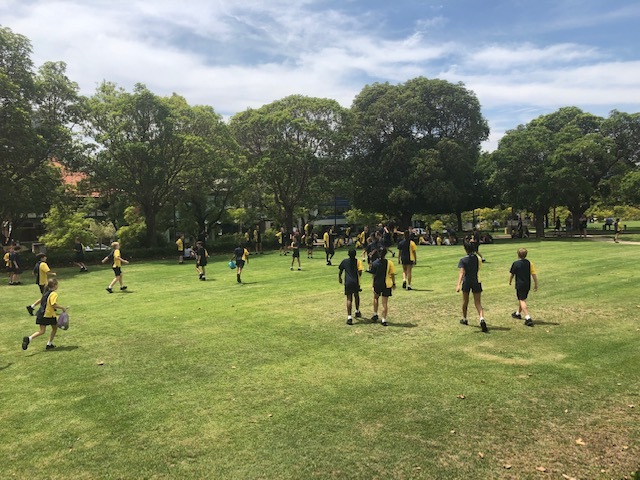 We are thinking of you and wishing you all the very best for the coming school holiday break. 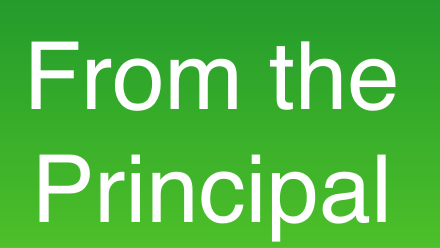 Thank you for your much appreciated support of staff, children and other families throughout the term. Every kind word, every generous offer, every time you have withheld judgement and given others the benefit of the doubt, every smile, every prayer prayed … it all helps to build our community up and keep it strong. 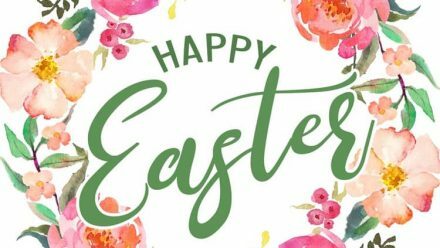 We pray that this Easter will be a wonderful opportunity for us all to reconnect with our loved ones, to reassess and re-prioritise our lives. 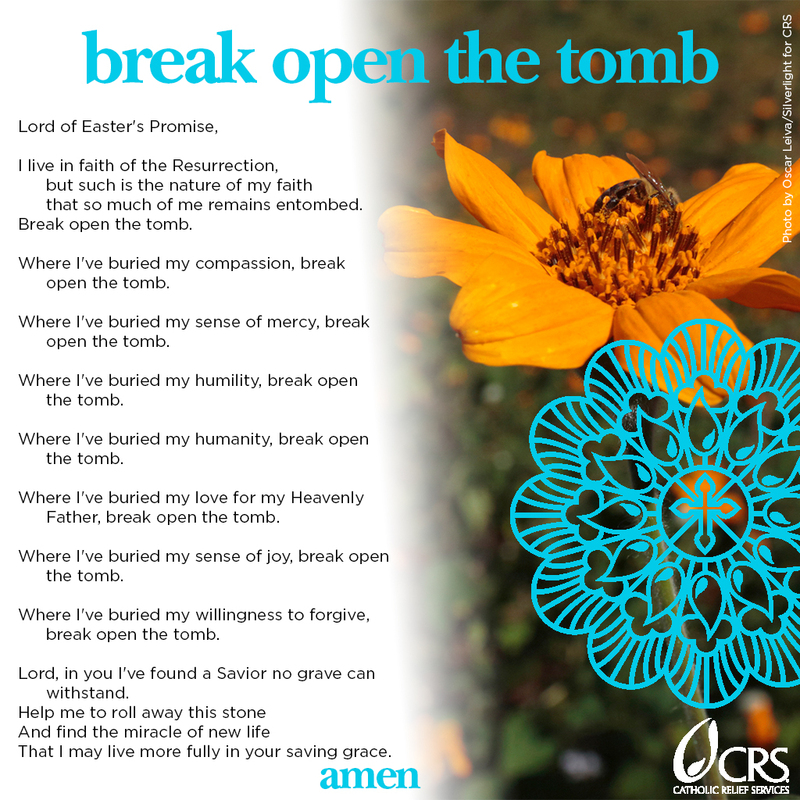 And may our Lord of Easter Promise, continue to guide us all in the way of love, hope, justice, peace and reconciliation in our daily lives. May the way we choose to live be GOOD NEWS to all we meet. All the very best and see you in two weeks! 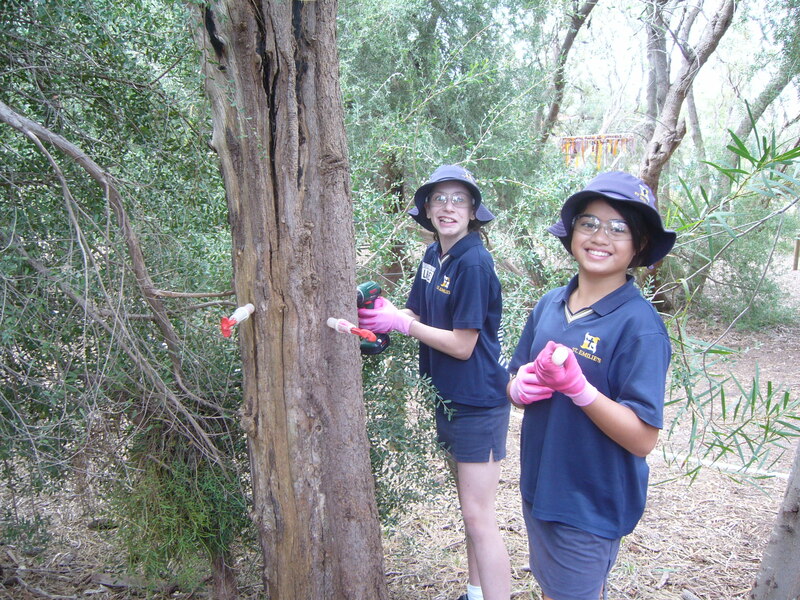 Our school bushland is enjoyed by our students and of great aesthetic value to our school environment. Mrs Cogger enjoys taking the students to the ‘bush classroom’ each term for various activities. Unfortunately many years ago we found out that the trees had ‘dieback disease’. Since then we have embarked on an injection program every few years. In 2013 the Dieback Working Group came to the school and supervised the students with the injection program and provided all the materials and phosphate. Here is a photo of Alyssa and Bayley from Year 6 2013. 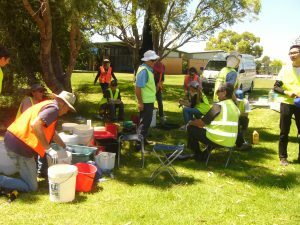 The next time the the trees were due to be treated was in 2016 and we had the help of Conservation Volunteers WA. Here is a photo of the team. The trees in our bushland are due to be treated again. This is high priority if we have any chance of saving the most vulnerable species like the Banksias. As well as other species like Sheoak, Macrozamia, grass trees etc. Our bushland is also home to a family of Southern Boobook Owls, a Southern Brown Bandicoot, a Bobtail Goanna and other native species. 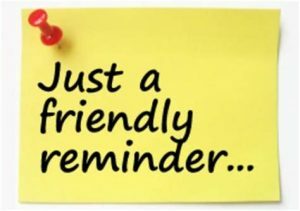 We have a BUSY BEE planned for Saturday 4th May commencing at 8am. 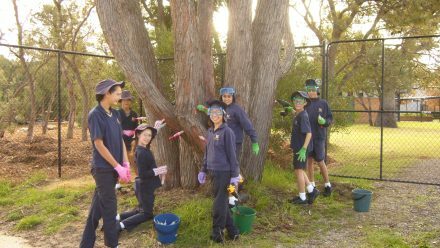 Mrs Cogger would like to invite you to help ‘save our bushland’ by assisting with the injection program on Saturday morning. 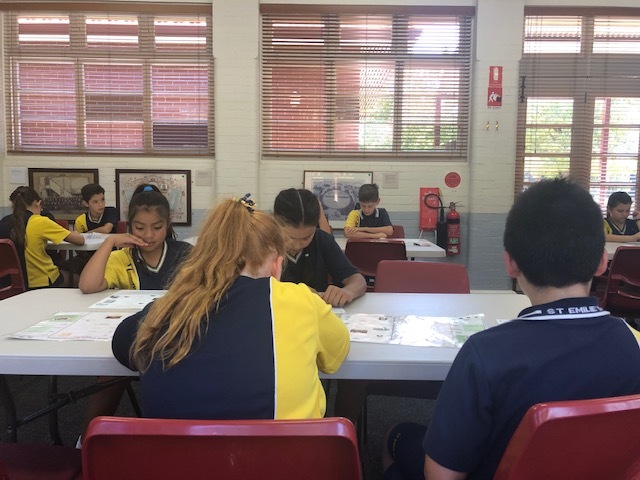 Chris (father of Kadyn Year 6 and Kiara Year 3) has kindly offered to hire the gear from Murdoch University and instruct us on how to inject the trees with phosphate. 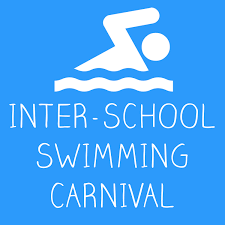 All we need now is a team of committed parents to assist us on the day. BYO drill, rubber gloves and goggles if you have any. If yo ave any questions about the dieback injector program please contact Mrs Cogger or Mr Munro. 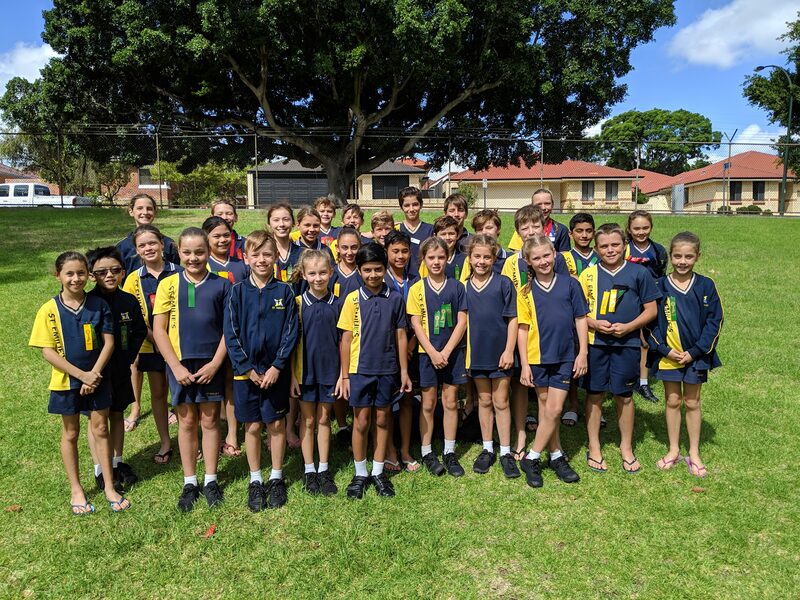 Once our trees have been treated we will be able to commence our replanting program with the grant funds recently received from Woolworths Junior Landcare. Please CLICK HERE to read all about our busy term in Year Five. 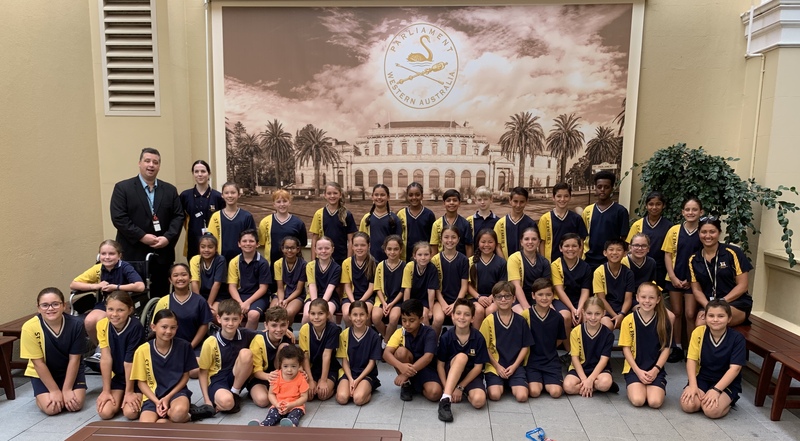 On Thursday the 4th April, St.Emilie’s took along a squad of 30 swimmers to compete in the Inter-School carnival held at Aqualife Aquatic centre in Victoria Park. 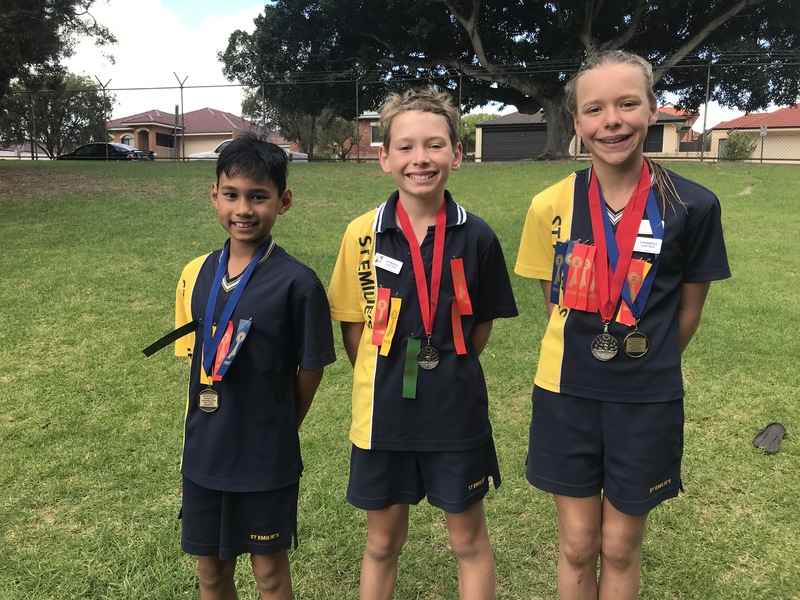 The cool breeze and weather provided challenging conditions for the children, however this did not stop us from achieving our best ever result at an Inter-School Swimming carnival. The children should be very proud of their efforts. Many of them attending early morning training sessions throughout the term and showing great commitment to get the best out of themselves. 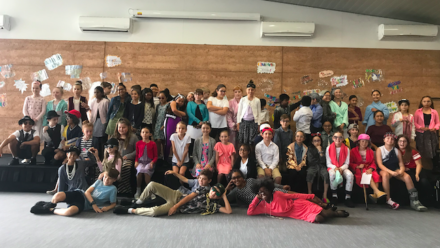 Our Year 4, 5 and 6 classes all performed very consistently throughout the day. On top of this, we had some Outstanding individual performances. 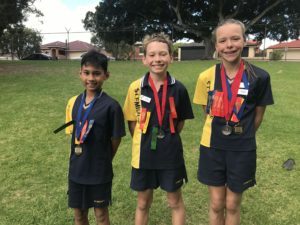 Nathanael was awarded the year 4 Champion Swimmer, Jessica was awarded the Open 100m Freestyle Gold Medal and was the Runner Up Champion Swimmer overall. Rory was also awarded the Runner Up Champion Swimmer for Year 6. Thank you very much to all the parents who turned up and supported us on the day, as well as attending the early morning training sessions. Your support is always noticed and appreciated. A few reminders about procedures for dropping off and picking up your children here at St Emilie’s. Please give way to cars at the crosswalk so Amherst Road can be cleared as much as possible of traffic. In the afternoon there is a teacher on duty to facilitate this. When dropping off/picking up children, drive through as far as possible. Do not stop in front of the administration building if there is space in front of you to drive forward. Please do not enter through the gate near the Church or the gate on Philadelphia Parade as these are exit gates only. In peak times, only turn left onto Amherst Road from the Church Gate. Please do not park in front of driveways of houses around St Emilie’s, we are getting a number of complaints from residents about this. Only cross at the crosswalk, there are a number of families crossing in front of where the staff park their cars. This is potentially dangerous for all concerned. When being dropped off and picked up, children should only exit/enter their cars on the left hand side of the car, school bags should not be in the boots of cars. If your child is unable to do up their seat belt independently, please do not use drive through. Do not park on any footpaths at any time. Parliament in Western Australia inherited the English system of government and law when it was colonised in 1829. 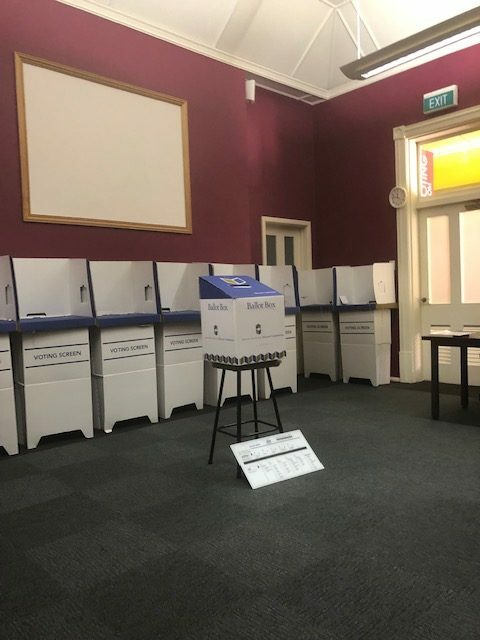 Its first legislative body was the Legislative Council, which met for the first time on 7 February 1832 and was presided over by the Governor of Western Australia, Captain James Stirling, who nominated four other members. 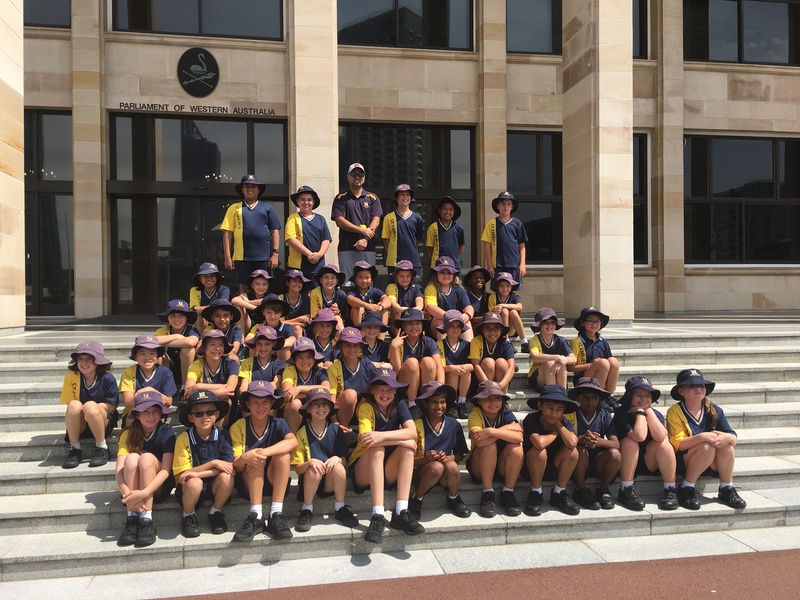 On the 26th February 2019, the Year 5 and 6 students went on an excursion to the Parliament House and Constitutional Centre in West Perth. The students were involved in 3 sessions. 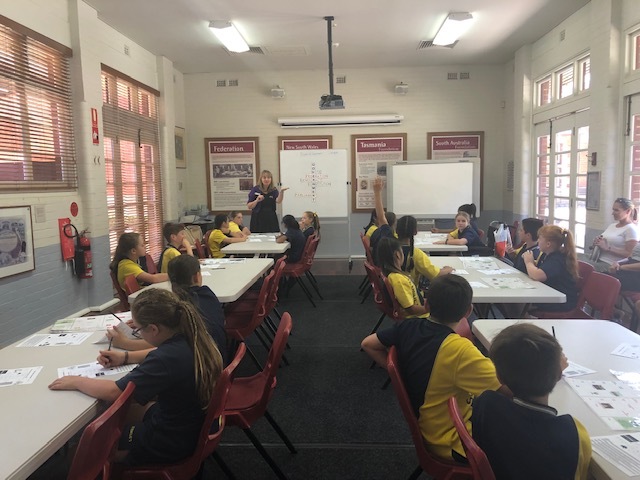 The Constitutional Centre where the children learnt all about the 3 levels of government. Federal – State – Local. 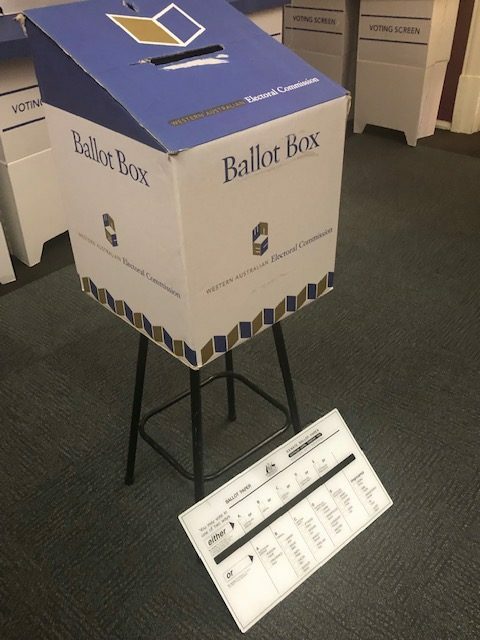 An electoral voting session – where the students acted out different voting roles and casted their vote on a topic. 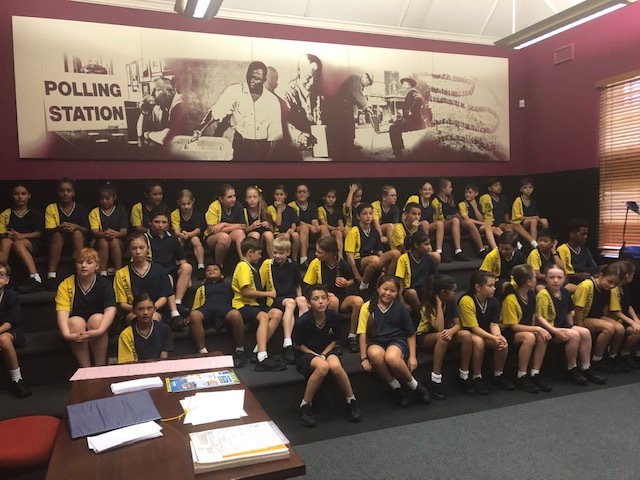 An educational tour of Parliament House to see how it works and some had the opportunity to undertake a role-play in the Legislative Assembly Chamber. 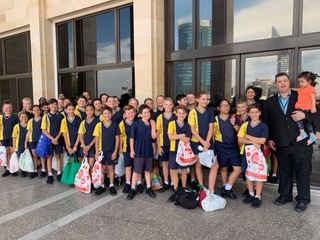 Lastly, the students had the opportunity to meet a Member of Parliament (our local member for Southern River – Terry Healy). 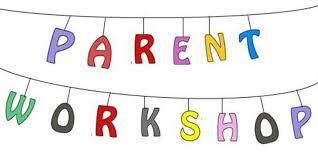 POP IN AND TAKE A SPIN AROUND THE ROOM, HOSTED BY YOUR CHILD! JOIN IN A COUPLE OF PRACTICAL ‘HANDS ON’ LEARNING TASKS! Please note that this is not time to bail up the teacher to talk about an individual student’s progress. This discussion is better left to a private Two-Way meeting time. Please be sure to thank your teacher and to keep an eye on younger siblings. 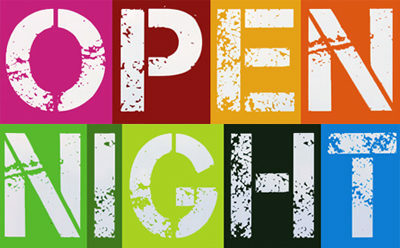 Thanks for your ongoing support of your child’s learning – your presence and encouragement of your child at a night such as this goes a long way to keeping motivation high.